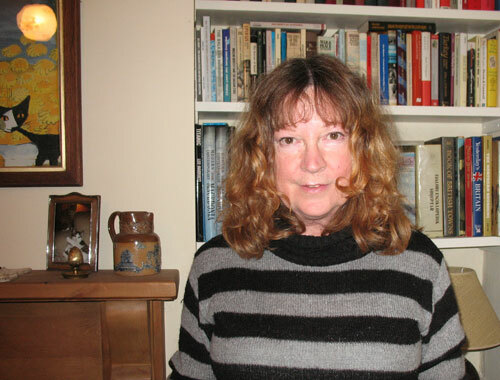 British writer and analyst of Albanian affairs, Miranda Vickers, author of “Albania: a Modern History” (London 1994) and “Between Serbs and Albanians: a History of Kosovo” (London 1998), and, with co-author James Pettifer, of “Albania: from Anarchy to a Balkan Identity” (London 1996) and “The Albanians: Reshaping the Balkans” (London 2006), offers an overview of the history of the Albanian Chams in the following article, published in 2002. A small but vocal movement is seeking redress for the massacre and expulsion of Muslim ethnic Albanian inhabitants from Greek territory during the period 1912-45. The Greek government refuses to discuss the issue, which could be fairly easily solved to Greek advantage. Meantime, it is likely to be exploited by both pro- and anti-Albanian elements in the Balkans. The modern Albanian question emerged as a major European issue in 1991. That year witnessed the collapse of the one-party state in Albania and the beginning of the disintegration of Yugoslavia. Throughout the 1990s, Albania struggled to embrace democracy, and ward off internal political and social divisions that brought the country to the brink of civil war. Almost a quarter of the Albanian population has subsequently fled abroad to escape civil unrest, poverty and unemployment. Meanwhile, the same decade saw the Albanians of the former Yugoslavia pursue peaceful, and then violent, means to escape Slav rule and seek self-determination. The true cause of the ethnic Albanian insurgencies in Kosovo (1998-1999), the Preshevo Valley (2000) and in western FYROM (2001), can be traced historically to the exclusion of those Albanians from the newly-created Albanian state in 1912. Whereas the Albanians of the former Yugoslavia have been struggling for 89 years to be re-included within the borders of a unified Albanian state, there is one group of around 200,000 Albanians who have ironically found themselves classified as refugees inside Albania. These people are known as Chams. Photo: Robert Elsie, May 2007. The Chams are the ethnic Albanian, and predominantly Muslim, population from the area of north western Greece known to Greeks as Threspotia and to Albanians as Chameria. The region, which is centred around the Tsamis river, extends from Butrint and the mouth of the Acheron River to Lake Prespa in the north, eastward to the Pindus mountains and south as far as Preveza and the Gulf of Arta. Nineteenth century British travellers such as Lord Byron and his companion John Hobhouse noted the preponderance of Albanian-speakers in these regions. While there is much comment focused on the position of the Greek minority in Albania, there is very little information about the Albanian minority which remained in Greece after the founding of the Albanian state. Most of these Albanians were originally Christian Orthodox by religion, but converted to Islam during the latter years of the Ottoman occupation. According to a Boston-based web-site which Albanians use to exchange ideas on current affairs, "the Albanians in Greece are divided into two distinct categories: Albanians who live on Albanian territory but who have remained outside the unjust borders which were drawn up by the Ambassadorial Conference (London, 1913), and those Albanians who departed Albanian territory during the first diaspora in the 14th and 15 centuries." (1) These Albanians fled their homeland during the battles against the invading Ottoman Turk and many settled on the island of Euboea. Others went to Italy. The forced movement of the entire Albanian Muslim population from Greece has left a lingering sense of injustice amongst Albanians in general. This has contributed in part to poor bilateral relations between Albania and Greece. The controversial Cham issue has lain dormant in recent years and none of the post-war Albanian governments, whether communist, democratic or socialist, have ventured to try to make it a key issue in relations with Greece. In May 2001, at the height of last year's ethnic Albanian insurrection in FYROM, a headline appeared on the wires of a Belgrade news agency, which ran: "New Albanian (Cham) Liberation Army on the March in Greece." (5) The purpose of this paper is to highlight the crucial historical and political issues that have led to such alarmist headlines, and to gauge the extent of Cham grievances, the support they elicit, and the degree to which their political agenda has changed since they arrived in Albania in 1945. After the defeat of the Ottoman forces during the Balkan Wars (1912-1913), the future of Albanian-inhabited areas was discussed at the hastily convened Conference of Ambassadors held in London in December 1912-January 1913, where it was agreed in principle to support the establishment of Albania as a new political entity. Greece had emerged from the Balkan Wars with a heightened sense of achievement, and a determination to try to secure southern Albania for Greece. The emphasis was not on territory that was ethnically strictly Greek, but rather on lands in which Hellenic civilisation was believed to be predominant. (8) In October 1913 the Epirote insurrection broke out, as Greek volunteers raided southern Albania, terrorising its inhabitants by burning their villages. The Greek objective was to set up an autonomous Vorio Epirus (Northern Epirus), in an attempt to sabotage the international discussions then being held in Florence on the future status of the region. Finally in December 1913, the Powers agreed on the terms of the Protocol of Florence, whereby, in return for Serbia's retreat from Albanian territory, Austria reluctantly agreed that the Albanian districts in what is now Kosovo and Macedonia should be formerly ceded to Serbia, whilst Greece received the large southern region of Chameria. The Albanian state was thus reduced to the central regions together with the town of Shkodër and its surrounding territory. Following the establishment of the Florence Line, some Greek troops began to withdraw from Chameria. Greek terrorist bands, however, remained as active as ever. As the majority of Chams were Muslim, they were treated with the same contempt as ethnic Turks living in Greece. On 23 February 1913, 72 people were killed in the village of Proi i Selanit near Paramithia. This marked the beginning of attacks on Albanian Muslim civilian targets, which were designed to instil fear into the population and thus prompt them to leave their homes. Throughout the next decade, the property of Albanian Muslims was systematically looted and many young men were deported to internal exile on the Aegean islands. Thousands of hectares of Cham-owned land were expropriated without compensation, their harvests were requisitioned, and they were prohibited from sowing their corn, or from selling or letting their property to forestall its expropriation. It was thus rendered impossible for many families to remain in Greece - forcing them to flee northwards to Albanian in search of land. (9) In an effort to settle the Cham issue, the Athens government had tried to gain Ankara's approval for encouraging some Chams to migrate to Turkey, in the hope that the rest would follow. Initially Ankara had been unwilling to allow the settlement of Albanian Muslims on Turkish soil, but following intense diplomatic efforts by Athens, the Turkish government agreed to allow the settlement of some 5,000 Chams. Meanwhile, in 1923, the position regarding the 20,000 or so Muslim Albanians still remaining in northern Greece was being hotly debated at a special session of the Council of the League of Nations. The convention that made possible the exchange of Greek and Turkish populations had been signed at the Lausanne Conference on 30 January 1923. The Albanian government had then insisted, via telegrams and delegations to the League, that the Greek authorities were forcing the Chams to leave their homes and move to Turkey, and that their lands were being settled by Greek immigrants from Asia Minor. The Greeks countered these accusations by arguing that the term 'Albanian' could only be applied to those who were born in Albania, thereby excluding from consideration the Greek-born Albanian Muslims, who were equated with Turks. The League responded to the Albanian allegations by establishing a Mixed Commission to examine the question in detail. In March 1924, the Commission decided that Greek subjects who were Muslims and of Albanian origin, and more specifically those residing in Epirus, had to be excluded from the compulsory exchange of populations between Greece and Turkey. (10) For the Albanian Chams, however, the issue centred around their claims to belong to the Albanian nation. The Council of the League discussed this matter during its thirtieth session (29 August-3 October): the Albanian position maintained that the Greek authorities were encouraging the 'Albanians of Epirus' to consider mass migration by calling them 'Greeks of Turkish origin' and convincing them to adopt the second identity in their public pronouncements. The Council finally decided to appoint neutral members of the Mixed Commission as its 'mandatories' charged with the responsibility of protecting the 'Muslim minority of Albanian origin' residing in Greece. (11) Meanwhile, the Athens government settled Greek immigrants from Asia Minor in Chameria in order to populate it with Orthodox Christians, and to put further pressure on the remaining Albanian Muslims to emigrate. Throughout the 1920s entire villages, such as Petrovica and Shëndellinja were emptied of their Albanian inhabitants. Whole families left for Albania, Turkey and America. In March 1926, the Greek government declared that the process of population exchange was over and that the Chams would henceforth have the same rights as those enjoyed by other Greek citizens, However, these "rights" remained highly selective. No Albanian-language schools were permitted and the speaking of Albanian was discouraged outside the home. The signing of the Italian-Albanian pact in November 1926 caused some anxiety in Athens and focused Greek attention on the still unresolved question of the Chams, which was leading to increased tensions between Greece and Albania. The Greek Ministry of Foreign Affairs had serious reservations about the pact because it was feared that the interests of the Albanians for their "brothers" in Epirus now had the backing of an important power, whose territorial ambitions in the Balkans could benefit from the existence of the Cham minority which favoured Italy and was hostile to the Greek state. Italy could also use the Chams as a counterweight to Greek ambitions in southern Albania. Albanian charges directed against Greece concerning the Muslims of Chameria gradually increased and reached their climax during the first half of 1928. In March, the Albanian Foreign Ministry delivered a memorandum to the Greek chargé d'affaires in Tirana, which highlighted Tirana's concern over the 'austere measures' exercised by the local authorities against the Chams, and expressed a formal protest that the Greek government did not recognise them as a 'national minority'. The Greek side argued that 'the Albanian government had no right to get involved in the domestic affairs of another country: the Chams were Greek citizens and the projection of Albania as a protector state constituted disregard of the basic elements of Greek sovereign rights.' (12) With the coming to power of the Ioannis Metaxas fascist government in 1936, the situation of the Albanian population of Chameria became even more difficult. The colonisation of the area by Greeks intensified, confiscation of Cham property was stepped up and the names of places inhabited by Albanians were replaced by Greek place names. (13) In the meantime, the League of Nations continued to note the Albanian protests over the treatment of the Chams, but by then more important issues were now emerging concerning other minorities in Europe. The outbreak of the Second World War brought about a brief union (1941-1943) of Kosovo with Albania, and the possibility of the remaining Albanian-inhabited regions of the Balkans being united. In August 1940 Italy invaded Greece. In an effort to rally the Albanian people to her cause, Italy had promised the Albanians their national unity. The German-Italian agreement of 1941 stipulated the formation of a 'Greater Albania', to include the large Albanian-inhabited areas of Yugoslavia and, to a lesser extent, Greece. The Italians were able to exploit Albanian irredentist sentiment by insisting that the unification of all Albanian inhabited lands was conditional upon an Axis victory. The Chams were subsequently armed by the Italians and co-operated with them against Greek villages controlled by Greek resistance fighters. 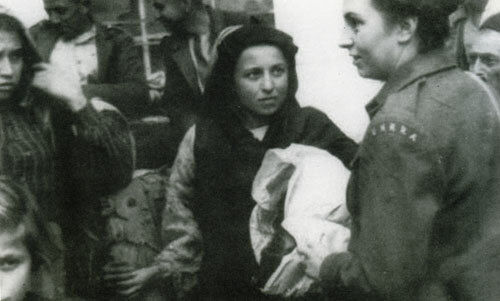 During this period, atrocities were committed by a minority of Chams against Greek civilians, thousands of whom were forced to flee from their homes. The majority of Chams, however, were merely passive collaborators, distrusting the Italians as much as they did the Greek Royalist guerrilla force of Napoleon Zervas. In little over a year, Greek forces were able to push the Italians back over the Albanian border. There was widespread alarm amongst the Chams when the hoped-for Axis victory turned to defeat. Near the village of Vrina in southern Albania, in June 1940, the headless body of the Cham leader Daut Hoxha was discovered. It was alleged by the Italian-controlled government in Tirana that he had been murdered by Greek secret agents. Hoxha was a military leader of the Cham struggle during the inter-war years. The Greek government claimed he was merely a bandit. (14) In October 1944 when the Germans began withdrawing from Greece, many hundreds of Chams also fled with them into Albania. Henceforth, the remaining Muslim Albanians in Greece were regarded by the Greeks as the enemy within. As a result of these assaults, an estimated 28,000 Chams fled to Albania where they settled on the outskirts of Vlora, Durres and Tirana. 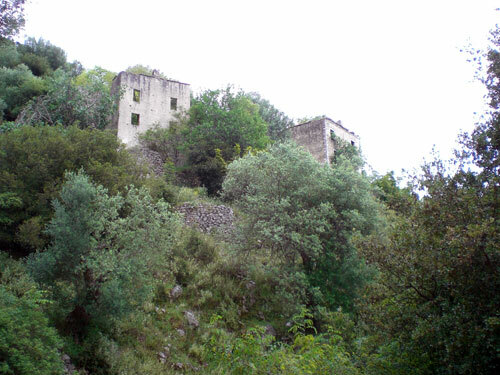 Several hundred Chams moved into properties along the Himara coast left by families who had been wiped out during the vicious fighting firstly against the Axis occupiers, and secondly in 1944 between the Greek nationalist Northern Epirus Liberation Front and the Albanian nationalist Balli Kombëtar partisan fighters. Some Chams moved into existing villages along the coast such as Borsh which were traditionally Muslim, thus augmenting the non-Hellenic character of the region. Other Chams established entirely new villages, such as Vrina, near the Greek border. International observers noted the brutality of the Cham evictions. Joseph Jacobs, Head of the US Mission in Albania (1945-1946) wrote: "In March 1945 units of Zervas's dissolved forces carried out a massacre of Chams in the Filiates area, and practically cleared the district of the Albanian minority. According to all the information I have been able to gather on the Cham issue, in the fall of 1944 and during the first months of 1945, the authorities in north-western Greece perpetrated savage brutality by evicting some 25,000 Chams - residents of Chameria - from their homes. They were chased across the border after having been robbed of their land and property. Hundreds of male Chams from the ages of 15 to 70 were interned on the islands of the Aegean Sea. In total 102 mosques were burnt down." (18) The Greek authorities then approved a law sanctioning the expropriation of Cham property, citing the collaboration of their community with the occupying Axis forces as a main reason for the decision. 1. Adoption of immediate measures to halt the settlement of aliens in our native land. 2. Repatriation of all the Chams. 3. Restitution of our property and remuneration of damage in liquid and fixed capital. 4. Assistance to rebuild our homes and resettlement. 5. Safeguards and guarantees emanating from the international treaties and mandates, such as guaranteed civil, political, cultural rights and personal safety. These demands were never answered. The UN Assembly in New York did, however, acknowledge the humanitarian crisis facing the refugees. From September 1945 to the spring of 1947, Albania received a total of US$26 million of assorted goods, materials and equipment from the UN Relief Programme, UNRRA (United Nation's Relief and Rehabilitation Administration). Of this approximately US$1.2 million was allocated specifically for refugees from northern Greece. It was mainly due to this aid programme that Albania escaped a major famine. On 23 September 1945, the Second Cham Congress was held in the Albanian Adriatic port of Vlora, where an increasing number of Chams were beginning to settle. As a result, yet more memorandums were despatched to the London Peace Conference and to various Allied Military Missions in Albania, requesting the Cham issue be discussed. Until 1947, the Chams struggled to internationalise their plight by informing virtually every international agency and mission that they could reach. After 1947, however, Albania and Greece fell into two separate political camps and the Cham issue lay dormant until the collapse of communism in Albania in 1991. Then throughout Albania, all those who felt dispossessed as a result of the wartime period or persecution under the Communists immediately formed organisations to seek recognition and compensation. 5. That the Albanian state intervene more actively in international organisations to make the Cham problem better known, and to use their authority to provide a solution to this problem." 2. The recognition of Cam assets restitution and any other rights which derive from it. These assets have been forcefully captured by the Greek state. 5. The same rights that the Greek minority in Albania enjoys. This last request was aimed specifically at cultural issues, such as the right to attend primary, secondary and higher education in Albanian language classes. Hilmi Saqe ended his speech on an angry note: "In today's world it is difficult to believe that the Greek government, which has signed and ratified international conventions and agreements, could be so hostile towards the Cham people. If one of us has managed to get a Greek visa at the Greek embassy in Tirana, their passports are torn at any border point with Greece upon entering Greek territory. We have appealed to the Ministry of Foreign Affairs in Tirana to discuss the matter with their Greek counterparts in order to allow members of our Association, who were born in Chameria, to visit their houses. But the Greek authorities do not allow any Cham people to set foot in Greece." (27) Anyone who has witnessed the undignified process outside the Greek embassy in Tirana or the consulate in Gjirokastër, whereby daily hundreds of Albanians desperately queue for Greek visas, will verify the difficulty of obtaining a much-valued Greek visa. Cham refugees in Albania, ca. 1946. In January 2000, the leader of the opposition Democratic Party, Sali Berisha, on a tour of southern Albania demanded more rights for the Cham minority in Greece, saying relations between Albania and Greece might suffer if mutual problems were not solved. Berisha demanded more cultural rights for Albanians living in Greece, such as the opening of an Albanian-language school in the northern Greek town of Filiates, and a solution to the property issue of the Cham population. (31) On 27 June 2000 a ceremony took place in Tirana where local officials renamed a street "Chameria", which had been settled by Cham refugees in 1945. The street's first informal name was the Bazaar of the Chams. The Communists renamed it after a nearby school. The Albania-Greek Commission, which was set up in 1999 to discuss the Cham property and assets issue, has not yet functioned. A troubling issue is the law approved by the Greek parliament (No 2664, dated 3 December 1998) on the registration of assets, which jeopardises the Cham issue and endangers their case. The deadline to register property was just one year. After the end of 1999 there was no more legal right to claim property. Those who missed the opportunity to register have now to go through a lengthy and costly court procedure. Today one can see numerous ruined Cham settlements scattered throughout north western Greece, especially in the region between Paramithia and Filiates. An estimated 40,000 Christian Orthodox Albanians still live in the Threspotia region. Although the majority are of original Cham decent, a significant minority migrated to the region after the collapse of communism in Albania in 1991. The process of assimilation is only gradual and as yet does not threaten their Albanian identity. Although their children go to Greek schools and Greek is spoken everywhere outside the home, inside the houses Albanian is spoken by all family members, and events in Albania are keenly followed. One traveller in the late 1970s noted that: "There are still many Greek Orthodox villagers in Threspotia who speak Albanian among themselves. They are scattered north from Paramithia to the Kalamas River and beyond, and westward to the Margariti Plain. Some of the older people can only speak Albanian, nor is the language dying out. As more and more couples in early married life travel away to Athens or Germany for work, their children remain at home and are brought up by their Albania-speaking grandparents". (33) Meanwhile, in Albania itself, the Muslim Cham villages around the area of Konispol are noticeably impoverished in comparison with other non-Cham villages in that part of southern Albania. Those Chams who settled in urban areas of Albania appear to have fared far better economically. There is a long-term political aspect to the current situation in Threspotia, because the demographic balance is gradually changing in the region. Albanians are quietly re-establishing themselves in long-abandoned property, which has been handed down from generation to generation. This is happening despite the region being effectively under a form of military occupation. The former Cham capital Filiates is now a major military garrison town, and all along the Albanian border are off-limits army controlled zones. Many in the Greek foreign office believe that the local police are in the pay of the Albanians, and thus turn a blind eye to the Cham returnees. This seems highly probable given the amount of illegal activity in and around the Greek-Albanian border, and in the port area of the town of Igoumenitsa, where Greeks and Albanians openly operate in the smuggling of illegal immigrants to Italy. The Chams are not the only group interested in keeping their cause in the public eye. A number of other regional elements, most notably nationalist groups from Serbia, FYROM, Greece and Turkey, also have a vested interest in making sure the world is alerted to the issue. The first three are at pains to broadcast all reports relating to the existence of a "Cham Liberation Army", thereby exposing the "real threat to regional security of pan-Albanian expansionism". Turkey, meanwhile, is finding the Cham dispute a useful tool with which to draw international attention to the plight of the Turkish minority in Greece. Given the current military and political situation in the southern Balkans, the scenario proposed by this article appears fairly improbable. At present and for the foreseeable future, NATO is firmly entrenched in Kosovo, and with a significant presence in Albania and FYROM. This factor, in conjunction with Greece being a member of NATO, means it would be extremely difficult for such a small group of Albanians, who lack the local support base provided for other ethnic Albanian insurgent groups in the Preshevo Valley and FYROM, to launch a military-style campaign in northern Greece. At the time, however, back in November 1999, when the Tipos tis Kiriakis article claims the first UCC brigade was set up, Kosovo was in a very volatile situation. Just four months after the end of the conflict with Serbia, the Kosovars were euphoric with the scale of their victory. This mood was highly infectious. Other Albanian elements with unresolved national demands were confident that the international community would be receptive to their plight, following the shocking revelations about the treatment meted out to the Kosovo Albanians by the Serb security forces in the spring of 1999. It was against this background that the Chams, along with Albanians in the Preshevo Valley and FYROM, began to discuss moves in which to publicise their long-held grievances. Publicly therefore, the Greek government has played down such media reports saying that the UCC does not exist, but privately there is concern. The AKSh is now active in FYROM and numerous arms caches are known to be hidden in locations just over the Greek border in Albania. The Greek authorities are believed to have an informal list of banned Cham activists, who are refused entry into Greece. However, it is not just political and military issues surrounding the Cham dispute which are causing tensions. Socio-economic issues also play a part in exacerbating the debate. In southern Albania, particularly in the border districts with Greece, there has developed considerable tension over the legitimacy of property ownership since the collapse of communism. This has placed the Chams in a difficult position since they represent non-traditional inhabitants. The growing number of disputes over land ownership has led many Chams to seek ways in which to recover their pre-war property assets in northern Greece. The pre-war Cham population was split into two distinct socio-economic groups: the first comprised wealthy, predominantly urban Beys, who owned vast tracts of land, whilst the second group were mainly poor, rural peasants, who grazed livestock in the more hilly regions, or worked on the Beys' estates. The Greek authorities are less concerned about the latter group, as their claims are void because they owned no land and their grazing rights were based upon old Ottoman laws, which have no meaning under contemporary Greek law. However, there is real concern that the Beys do have substantial land claims. It is difficult to assess the exact differentiation between the descendants of the landed or landless Chams in contemporary Albania. Although many Beys and their older sons were liquidated when they went up to join the nationalist organisation Balli Kombëtar in 1942-1943 to fight the communists, many other relatives survived in their traditionally large families. These people remained landless and without power during the 47 years of communist rule in Albania. Since the collapse of the one-party state in 1991, they have joined forces with representatives of landless Chams to fight to regain not only their land, but also their privileged social status as wealthy property owners. Another regional player that is more than ready to exploit the Cham issue is Turkey. Turkey wants to pressure Greece on the minority issue to gain formal recognition of the Muslim minority in eastern Thrace as Turkish. Turkey also wishes to highlight the overall Greek failure to provide educational, religious and cultural rights for all minorities in Greece to comply with EU standards. Greece refuses to acknowledge virtually any ethnic minority in the country unless forced to, as in the case of the Florina Slavs in 1997. Tirana's taboo subject was publicised recently by Turkey's Foreign Ministry in a statement which called the "Cham tragedy one of the most painful tragedies of the European continent". (41) It went on to criticise the Greek authorities "for sticking to the concept of absolute denial over the existence of ethnic groups on Greek territory … and as history has recorded, Greece has committed genocide against Albanians of the Muslim faith". (42) The Turkish authorities have urged the Greek government to participate in an international conference on the Cham dispute at which the Albanian government would also be present. Athens was also asked to acknowledge the Albanian nationality of Albanian-speaking Orthodox Christians in the same area, to compensate the displaced Chams for the property they have lost, to provide an Albanian Orthodox Church for Albanian Christians, to repatriate the Cham minority and to provide them with Greek citizenship. It is important here to mention an aspect of this debate, which goes to the very core of the problem. In their historiography the Greeks avoid the use of the term Albanian when referring to Albanian-speaking people residing in Greece. Instead they use the term 'Arvanites', which denotes an Albanian-speaking Christian. This is an ideological construct designed to reinforce Greek national self-definition as a purely Christian state. In other words, the Cham Muslims were never 'real Greeks', unlike their Christian brothers, and as such have no claim to Greek citizenship. Albania's President Rexhep Meidani has called on Greece to cancel the law. "It is unacceptable that the law of the state of war is still valid. It hinders investments, exchanges between the two countries and integration processes," Meidani told Greek Defence Minister Akis Tsohatopoulos during the latter's visit to Tirana in July 2000. (44) Two months later the President again raised the matter to an international audience. In his speech to the United Nation's General Assembly's Millennium Summit in September 2000, Meidani obliquely criticised Greece for maintaining a legal state of war with Albania. "We must ask ourselves," he said, "can we arrive at an acceptable definition of good governance while members of the United Nations maintain a de jure declaration of war with other members? Certainly not." (45) The Albanian authorities want the matter officially and legally closed. Why, they ask, was this issue never settled during Greece's negotiations to join the European Union? (46) This is clearly a matter that needs to be clarified in the interests of Albanian-Greek relations. The expulsion of the Muslim Chams from Greece during the period 1912-1945 can be seen as merely a continuation of the bitter inter-ethnic feuding that characterised the southern Balkans from the time of the Balkan Wars through to the end of the Greek Civil War in 1949. This period witnessed the settling of old scores against those minorities unfortunate enough to find themselves on the wrong side of their own ethnic borders. In the case of the Chams, their particular situation is very much a product of Greece's entire historical perception of her northern border. Greece has never really had a concept of a fixed northern border, where prior to the settlement of Greeks from Asia Minor in 1922, very few Greeks had ever lived. (47) After the Greek Civil War, right-wing Greeks from areas like the Piraeus port district of Athens were settled in towns and villages in the Cham and Slav minority areas, in order to reinforce the "loyal" Greek element in the region, and to inform Athens of the activities of the local non-Greek inhabitants. This is still very much the case today. The idea of Greek expansion northwards, which was embodied in the 19th century national programme known as the Megali Idea, (48) has never really been abandoned by the Greek Church or nationalist elements within the Greek establishment. This, combined with the state of war law, causes Albania still to regard Greece as a security threat. Although the Albanian government has officially avoided addressing the Cham issue, prominent Albanian individuals such as President Meidani and Sabri Godo have raised the subject publicly on a number of occasions. Currently, a number of Albanian parliamentarians are meeting members of the Cham community to discuss mounting a legal suit against Greece. This is something the Greek authorities could avoid by agreeing a financial compensation settlement with the Chams before the matter reaches the international courts. If a legal suit is eventually mounted against Greece, it could prove prohibitively expensive for the Greek exchequer because it would open a floodgate of claims from people, other than Chams, who also lost their property in the aftermath of the Second World War. These include supporters of the Greek left and members of the Slav minority, who were strongly represented amongst the left-wing forces that lost in the Greek Civil War. Many Slavs, like the Chams, were forced to flee from Greece in 1949, either to Yugoslavia or to Australia. A few even went into political exile in Albania. As long as it remains unresolved, the Cham issue is prone to exploitation by elements wanting to discredit Albanians in general, regardless of where they live and their political and national stance. Nationalist elements in Serbia, FYROM and Greece have spared no effort to "inform" the international community of the existence of a "Cham Liberation Army", which is poised to attack Greece in pursuit of a "Greater Albania". This negative outlook on behalf of small but vociferous groups amongst the neighbours of Albanians is highly detrimental to the development of regional security and peaceful co-operation in the southern Balkans. Turkey is also able to manipulate the Cham issue by attacking Greek policy over its own ethnic minority issues in Greece, thereby undermining the Greek case over Cyprus. In many respects, the Cham issue is the most easily resolved of the many unsettled questions regarding Albanians in the Balkans. If the issue was handled sensitively, it could benefit both Albanians and Greeks. Given that the Chams do not believe they will ever be allowed to resettle in Greece, they are concentrating their efforts on gaining financial compensation. Yet, if families were able to return to their old properties, the economy of the Threspotia region would improve remarkably. Over the past thirty years, the north west of Greece has become seriously depopulated as people move out of the villages to the larger towns and cities. Vast swathes of once heavily grazed hillsides have reverted to dense forest, much as they were in Ottoman times. (53) Albanians would probably be only too willing to graze the land once more with flocks of sheep, and thus provide the Greek yoghurt industry with the raw material it so badly needs. Although the Greek government has sometimes expressed some sort of readiness to discuss issues relating to property and asset compensation, it categorically does not recognise the right of the Chams to Greek citizenship, which is referred to as "historical". Many Chams, however, desire Greek citizenship above all else. This would release them from the humiliation of going through the degrading visa application process in Tirana, and provide an opportunity to escape the dire poverty and unemployment in Albania. Despite their general assimilation, the Chams have never really felt welcome in Albania. In fact, many non-Cham Albanians, especially in Tirana, use the term 'Cham' in a derogatory sense to denote an untrustworthy person. This matter needs to be addressed before the year 2004, which will see the Olympic games held in Athens, and which will also mark the 60th anniversary of the massacres at Paramithia in 1944. There are plans to commemorate this event with large-scale demonstrations and perhaps the further recruitment of a minority Cham activists into military-style groups. There is the risk of a greater radicalisation of Albanians in general as they become more aware about the Cham issue and the "historical injustices" suffered by their nation at the hand of their neighbours. During recent years, a new breed of young historians are bringing the matter to the attention of a new generation of Albanians. The new pan-Albanian school textbooks now include whole passages on the history of the Chams. (54) In the interests of Albanian-Greek relations, the state of war should be officially nullified by the Greek government. Otherwise Albania will continue to see Greece as a security threat. What is needed is to get EU standards on this and other minority issues actually enshrined in Greek law and properly enforced. Despite the Greek authorities declaring that there is no Cham issue, the "issue" itself remains a very tangible evidence of how far minority issues in the Balkans have yet to progress in order to comply with even the most rudimentary minority policies within the European Union. The matter reflects badly upon Greece, which despite a veneer of EU respectability, remains very much a Balkan country still deeply entrenched in the mind-set of Ottoman times, when a "nation" was deemed as such by its religious affiliation rather than by the main determinants of ethnicity such as language and culture. Cham population settlement in the Republic of Albania according to the 1991 registration of Chams by the Chameria Political Association. Frosina Information Network, www.frosina.org/infobits/albgreece. Other websites which deal with Cham issues are: www.albanian.com/main/other/cameria, and www.albabel.yucom.be. Miranda Vickers & James Pettifer, Albania: From Anarchy to a Balkan Identity, C. Hurst & Co, 1997, p.xii..
For detailed historical and documentary accounts of the Chams and Chameria see: Albert Kotini, Tre Guret e zes ne Preveza, Fllad, Tirana, 2000; Albert Kotini, Çameria Denoncon, Fllad, Tirana, 1999; Fatos Mero Rrapaj, Fjalori Onomastik i Epirit, Eurolindja, Tirana, 1995; Drejtoria e Përgjithshme e Arkivave - Dokumente për Çamërinë, 1912-1939, Dituria, Tirana, 1999. Greek Foreign Ministry spokesman Panayiotis Beglitis, Kathimerini (Athens), 2-3 June 2001. INET (Belgrade), 30 May 2001, 11:15. The term Tosk refers to Albanians who live south of the Shkumbin River. They speak a different dialect, and have different cultural traditions, from the Gheg Albanians who live north of the Shkumbin. Odysseus, Turkey in Europe, London, 1900, p401. Jelavic, Charles and Barbara, The Establishment of the Balkan National States 1804-1920, Washington, 1970, p.77. A similar pattern was emerging in the Kosovo region of southern Serbia, whereby Albanians were being encouraged to leave their lands for Turkey, and Serb and Montenegrin colonists were brought in to settle on the vacated Albanian land. Michalopoulos, D., 'The Moslems of Chamouria and the Exchange of Populations Between Greece and Turkey', Balkan Studies, Vol 27, No 2, 1986, pp.305-6. For a list of the most important changes in place names from Albanian into Greek, see James Pettifer, The Blue Guide to Albania and Kosovo, third edition, London 2000, p.57. James Pettifer, The Blue Guide to Albania and Kosovo, third edition, London 2000, p.439. British Foreign Office PRO/FO No.371/48094/544/R8 564. Eyewitness accounts of the attacks on the Cham districts of Paramithia, Parga and Spatar, Memorandum of the Anti-Fascist Committee of Cham Emigrants in Albania, Tirana, 1947, p.4, hereafter 'Memorandum'. It should also be noted that most of the influential books in English on the region have been written from the viewpoint of the Greek Royalist Right, from Henry Baerlein's Under the Acroceraunian Mountains, René Puaux's Sorrow of Epirus and Pyrrhus Ruches' Albania's Captives, to modern polemical works such as Eleni by Nicholas Gage. For a pro-Cham viewpoint, see British Imperialism and Ethnic Cleansing by N. Zanga, Tirana, 1997. Documents of the US Department of State, No. 84/3, Tirana Mission, 1945-1946, 6-646. Vlachs are semi-nomadic pastoralists who speak a language akin to Romanian and live in south-east Albania, north-west Greece and southern FYROM. For useful information on the tensions between Albania and Greece over the Chameria/Epirus dispute, see: Border and Territorial Disputes, 3rd edition, Albania-Greece (Northern Epirus), Longman, Harlow, 1992. (23) Statement of Prime Minister Constantine Mitsotakis on the occasion of his visit to Tirana, May 1992. (24) Republic of Albania - Law No: 7839, passed in Tirana, 30 June 1994. The Cham monument was erected in Konispol in 1995. (25) Petition to the Albanian government and international organisations, the Chameria Political Association, Tirana, 24 August 1999. (26) Speech by Hilmi Saqe, OSCE Istanbul Summit, fringe meeting, 18 November 1999. (28) Albania Daily News, 1226, 18 January 2000. (29) Godo was referring to the law that Greece imposed on Albania in 1940, which was de facto lifted in 1987, but which still has to go through a final parliamentary approval. (30) Albania Daily News, 1571, 29 May 2001. (31) Albania Daily News, 1226, 18 January 2000. (32) Albania Daily News, Tirana, 1 July 2001. (33) Arthur Foss, Epirus, London, 1978, p.173. (34) Kathimerini, 2-3 June 2001. (35) INET (Belgrade), 30 May 2001, 11:15. (36) Albania Daily News, 31 May 2001. (37) Albanian Nationalist Army Seen Claiming Greek Territories, Tipos tis Kiriakis, 9 July 2000. (40) During the late 1940s, the British and Americans devised a complicated and risky plot to overthrow Hoxha's regime. The plan was to equip and train an anti-Communist force recruited from hundreds of right-wing Zogist and Ballist refugees who had fled from Albania after the war. For a fuller account of these events see Miranda Vickers, The Albanians: a Modern History, London: 1999, Chapter eight, & Nicholas Bethel, The Great Betrayal (London 1984). (41) The Republic Of Turkey Ministry of Foreign Affairs, www.mfa.gov.tr/grupa/ac/ack/03.htm, 6 June 2001. (42) The Republic Of Turkey Ministry of Foreign Affairs, www.mfa.gov.tr/grupa/ac/ack/03.htm, 6 June 2001. (43) Interview with Greek officials, Tirana, March 2001. (44) Reuters, Tirana, 1 August 2000. (45) RFE/RL, 9 November 2000. (46) Interview with Albanian officials, Tirana, April 2001. (47) In Ottoman times what is now northern Greece was largely inhabited by Turks, Albanians, Slavs, Vlachs and Roma. (48) The Megali Idea was a plan of expansion which would include all Greeks within a single Greek state, as well as entailing the revival of the Byzantine Empire. The lands to be adjoined to this empire included Epirus, Thessaly, Macedonia, Thrace, the Aegean islands, Crete, Cyprus, the west coast of Asia Minor, and the territory between the Balkan and Rhodope Mountains. (49) Extreme nationalist Albanian rhetoric for a Greater Albania. (50) The union of Kosovo with western FYROM. (51) Interview with Cham families in Vlora and Tirana, May 2001. (52) Interview with members of the Cham association, Tirana, September 2001. (53) In marked contrast to the decline in the human habitation of Epirus, the wolf population has increased over the past three decades and is now on a par with wolf numbers in Ottoman times. (54) An example of the new presentation of the Cham issue can be found in the book The Political Philosophy of the Albanian Question, Prishtina 1997, by the young Kosovo Albanian historian Ukshin Hoti.